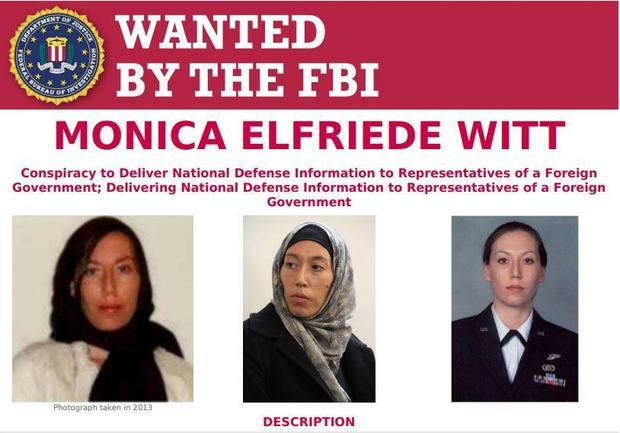 Washington – The Department of Justice charged former U.S. Air Force special agent and counterintelligence specialist Monica Witt with espionage, accusing her of defecting to Iran in 2013 and revealing highly-classified U.S. intelligence to the government in Tehran. In a grand jury indictment unsealed Wednesday, prosecutors said Witt, 39, provided the Iranian government information about a classified Defense Department program and helped Tehran’s intelligence services target her former colleagues in the U.S. intelligence community. According to authorities, Witt collaborated with Iran’s Islamic Revolutionary Guard Corps, an elite military unit charged with exerting Tehran’s influence around the world. “Monica Witt is charged with revealing to the Iranian regime a highly classified intelligence program and the identity of a U.S. Intelligence Officer, all in violation of the law, her solemn oath to protect and defend our country, and the bounds of human decency,” assistant attorney general John Demers wrote in statement Wednesday. Witt’s actions, the FBI said, put the life of the officer whose identity she revealed at risk. The government issued an arrest warrant for Witt, who remains at large. U.S. officials believe she is still in Iran. According to the Justice Department, Witt entered the Air Force in 1997 and left in 2008. She was also a Defense Department contractor until 2010. During her U.S. government career, authorities said Witt was granted high-level security clearances and was posted abroad on several occasions for counterintelligence missions. In 2012, prosecutors said, Witt traveled to Iran and attended an event which denounced “American moral standards” and promoted “anti-U.S. propaganda.” She returned to Iran in 2013 and was provided housing and computer equipment by Iranian officials. According to authorities, she started working on behalf of Tehran by disclosing classified information and compiling research on U.S. intelligence personnel she previously worked with. The same indictment charged four Iranians for conspiracy and aggravated identity theft, accusing them of helping Witt gather information on her former U.S. government colleagues. Authorities said Mojtaba Masoumpour, Behzad Mesri, Hossein Parvar and Mohamad Paryar sought to install malware in the computers of Witt’s former co-workers through fake social media accounts. The FBI said Wednesday that it’s possible Witt remains a threat, and her former colleagues have been apprised of the charges against her.